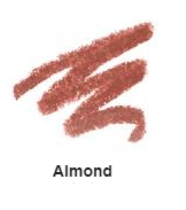 The super creamy, smooth glide matte gel liner defines with maximum impact colour payoff for gorgeous velvety lips. Extreme 12-hour long wear anti-feather formula applies like a dream and then sets quickly to prevent colour transfer and smudging. Feels light and comfortable on lips and won’t dry them out. Full size pencil in compact package fits into any makeup bag.